New Japan Pro Wrestling (NJPW) has released new information regarding their upcoming date in the United Kingdom. The show is scheduled to take place on August 31st 2019 from the Copper Box Arena in London’s East End. “We’ll let you know who they are next week at the same time that we announce the ticket sale! They end this short update by informing fans that more information will be released over the coming months in the run-up to ‘Royal Quest’ but promise to reveal more wrestler names, meet and greet information, and more. NJPW aren’t strangers to the United Kingdom. They have held numerous events in conjuncture with other promotions, most notably Revolution Pro Wrestling (RevPro) and Ring Of Honor (ROH). ‘Royal Quest’ will be their first major solo show in the UK. You can find more information on their website, NJPW1972.com. 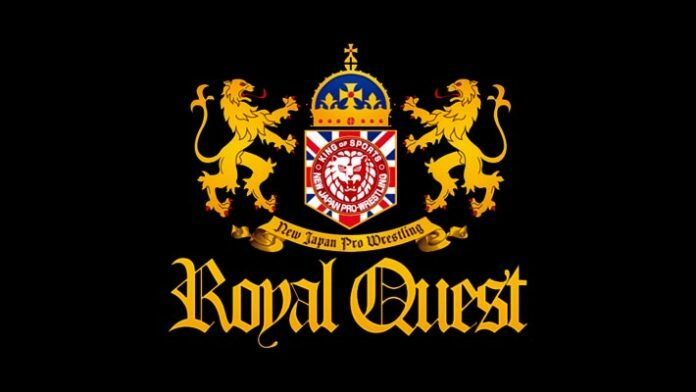 NJPW Royal Quest will take place on 31st August 2019 in London! Three of our top Japanese wrestlers have all confirmed they will be on the card!